In 1970, an American calling himself Bay Radisson arrived in London with no place to live and no place to go back to. Twenty years later, he was riding the crest of a wave, as one of Britain's brightest and most successful "risk takers." With charm, cunning and humor, he and his partner had built themselves a minor empire - conquering gladiators in an arena where money was the only way to keep score. But then Robert Maxwell dies, and that inadvertently sets off a chain of events that sends Bay's world into a crashing nose-dive. Facing ruin, he finds himself caught in a ruthless battle against the establishment to save his life. 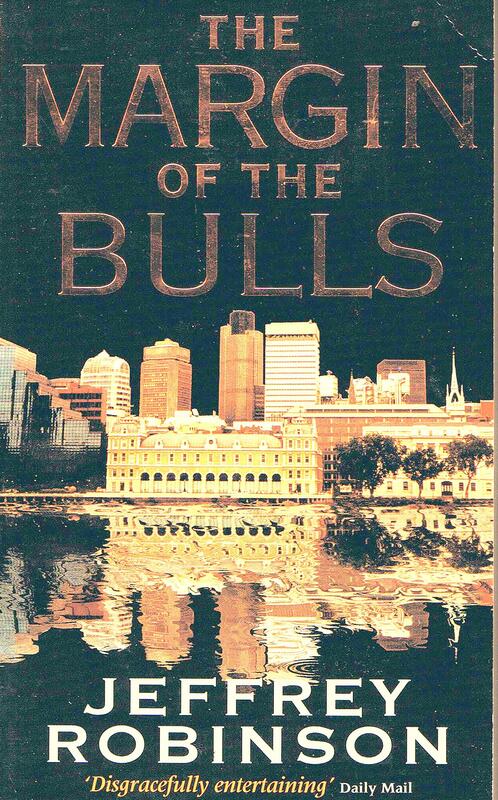 Set against the backdrop of the City of London, The Margin of the Bulls documents an era when the wheeling and dealing of the 1980s became the crimes of the 1990s. "Robinson has taken stories that the libel laws would not allow him to tell as fiction." "Fiction and reality enjoy a less than platoinic relationship." "A topical, gripping marriage of fact and fiction." "Robinson is a rather good fiction writer, with a breezy writing style and a smoothly flowing plot." "Just the sort of book you would expect from someone in the know."